The Financial Search Group Ltd. The American Association of Accounting Recruiters can help make your journey a positive and profitable experience. We leverage your experience and skills with the best companies with the best recruiters in the top 50 markets in America. Whether it's coming back home, experiencing another city, moving for a significant other or just expanding your horizons, send your resumé and cover story. Visit aaarecruiters.com/ to learn about our services. Below is a complete list of the cities represented by our membership groups. The Financial Search Group, LTD is perhaps Pittsburgh’s most famous and experienced Search firm founded over 30 years ago by Entrepreneur and current CEO David Cegan. The goal of the Founder was to establish a firm that attracted well educated, highly motivated, and talented Accounting and Financial Professionals, and reward them with confidentiality in the pursuant of career advancement opportunities. The principle has remained unchanged throughout the history of the firm. David Cegan has distinguished himself as an innovative Staffing Industry Leader and has career sales and production statistics that place him in the top 1% of all Financial Recruiters Worldwide. In addition, he has assembled a team of trained consultants and developed a menu of services to guide both Company and Candidate through the search process. 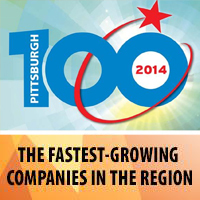 The Financial Search Group, LTD has been recognized by The Pittsburgh Business Times "PGH 100" as one of fastest growing companies over the past several years. If you are an Employer that values the search firm process, we have documented, studied, and refined our database to offer you the very best Accounting and Financial Candidate choices in the marketplace today! If you are a qualified Candidate we offer you our expertise and our valuable employer contacts to advance your career and fulfill your dreams.